When thinking about higher education most of the attention is spent on high school students and the immediate preparatory steps needed to enroll in, and pay for, college. Sometime the college discussions will start when a student is in middle school, but it is seldom that any proactive steps are taken until high school. But for a student to be truly prepared for college, parents and children need to begin thinking about, and discussing, higher education goals as early as primary school. Of course, this doesn't mean that grade school students need to start choosing majors, and selecting colleges. But it is necessary for parents to instill in their children a love of learning. Parents have the opportunity to help their children understand the value of knowledge and the importance of a college education. It is during these early years in primary and middle school that parents can help their children realize that a college education is a very rewarding and achievable goal. The first 8 years of a child's education is filled with learning fundamental skills and knowledge. These studies are not necessarily exciting, but as a student progresses through the grade levels he or she will begin to find areas of study that particularly engage them. Favorite teachers, and favorite subjects, allow parents to begin discussing the benefits of college with their children. It may be as simple as discussing how their favorite teacher went to college, or how much more there is to be learned about a favorite subject when they grow up and go to university. However the discussion starts, the important thing is to make the idea of college interesting, and to help students realize that college is a very real option for them. Discussing the opportunities that a higher education can provide is an important step in preparing children for college. Simply put, a college education is the gateway to opportunity in life, and the sooner children understand that the more willing they will be to put in the hard work required to achieve their goals. The opportunities that a college education provides can be relayed to children of all ages by showing them just what going to college and do for one's life. For example, a teacher may talk about how the people that get to dig up dinosaur bones first had to go to college to learn all about dinosaurs. If a child is interested in outer space, discuss how scientists and astronauts go to college to learn about space so they can go out and explore the universe. A child's enthusiasms are the perfect portal to a discussion about the possibilities that can be made real with a college education. Use their interests and passions to launch a talk about their future in college. One of the best ways to interest children in college, is to take them to a nearby campus. Many universities provide campus tours and visiting days on which a staff member will guide a grade school class, or other group of children, around the campus and explain the unique and exciting things they can do when they grow up and go to college. 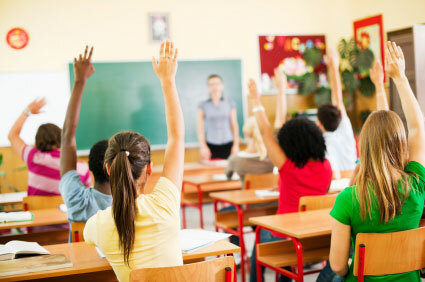 Parents can also schedule outings with their children to the college or university from which they graduated. Children love to question their parents about what it was like when they were in school, and this is a good opportunity to talk about the classes and activities that are available at a university. The important thing is to make college sound interesting, exciting and accessible. Instilling a love of learning and an interest in education at a young age can work wonders in increasing a child's motivation, and providing them with a direction for their lives. Above all it is important to make a college education seem accessible to all students. Encourage, do not lecture, and don't wait to start talking about college until your child is finishing high school. Begin discussing the possibilities and rewards of a college education with your children when they are young, eager and open to the endless possibilities that a college education can provide.